One of the primary goals of the Health Insurance Portability and Accountability Act (HIPAA) was to simplify administrative processes in the healthcare industry by requiring the use of standardized electronic transmission of administrative and financial information. The regulations requiring adoption of specific security and privacy standards apply to all healthcare providers, health plans and healthcare clearinghouses who transmit and store health information electronically. Covered entities must have sufficient protections in place to ensure the security and confidentiality of patients’ health records during storage and transmission. 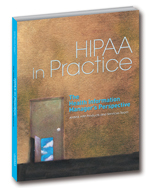 In HIPAA Security Auditing: How To Create a Consistent, Repeatable and Documented Program, a special report from the Healthcare Intelligence Network, you’ll get a step-by-step guide to developing, implementing and refining a HIPAA security auditing program. You’ll get advice from two leading industry experts, Chris Apgar, CISSP, principal, Apgar & Associates and Mikel Lynch, director of corporate compliance for University of Missouri Health Care on the key components of an audit program to ensure HIPAA security compliance.